Raymond G. Perelman, Philadelphia business magnate and philanthropist has passed away at the age of 101. Perelman was best known at Drexel for his donations toward the construction of the 32nd street plaza between Market and Chestnut streets, known as Raymond G. Perelman plaza, and the Raymond G. Perelman Center for Jewish Life. “I am deeply saddened by the news that Raymond G. Perelman, a great friend to Drexel and benefactor to many Philadelphia causes, passed away on Monday. His legacy of extraordinary generosity stands as an inspiration to all of us,” President Fry stated in a letter to DrexelNow. Perelman made his fortune buying and selling manufacturing businesses during a time where industry in the U.S. was in decline. Perelman also donated a sizable fortune to schools, cultural institutions and Jewish organizations across the Greater Philadelphia area. “Looking beyond our campus, we know the enormous good Mr. Perelman and his late wife, Ruth, did for people, organizations and communities across our region literally changed the landscape of Philadelphia. Their support for academic medicine, the arts and the region’s cultural life will be an enduring legacy,” Fry added in his letter. 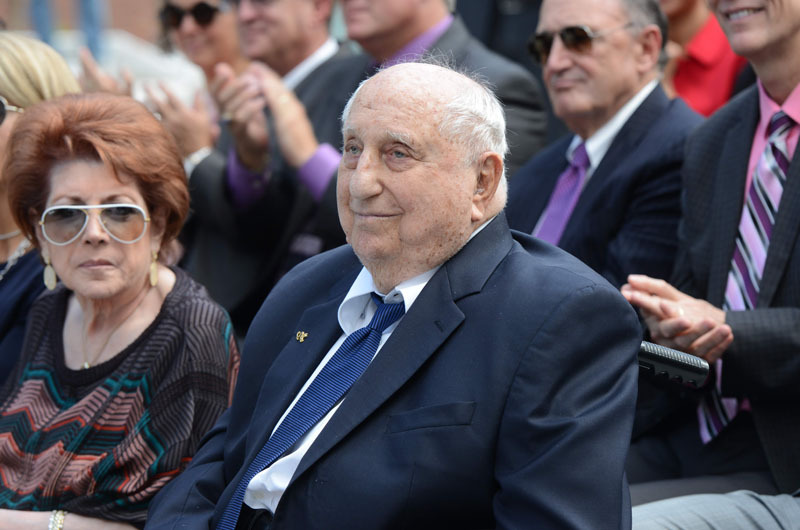 Perelman made a significant mark on the city of Philadelphia and will be missed by many across the region. “For us at Drexel, and for so many people across our region, Raymond Perelman’s memory will always remain a blessing,”Fry concluded.